We are considered to be one of the most profound and prominent manufacturers and exporters of Stone Polish. 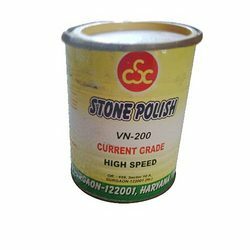 This type of polish is widely used in many industries for polishing topaz, marbles, granites, steel sheets and utensils. Our offered Stone Polish, Stone Polishing Chemical, Stone Polishing Powder, Natural Stone Polish is basically a white crystalline powder formulated by us from high end quality of chemicals. We have appointed some of the senior professional who have immense knowledge in this domain to supervise the entire production process. Looking for Stone Polish Material?